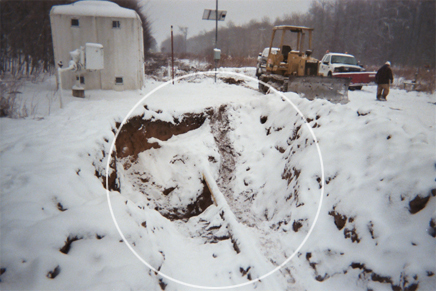 EnviroSolutions responded to a release from a buried wet high-pressure natural gas pipeline, investigated area soil and groundwater to delineate the extent of impacts, conducted private drinking water well sampling and designed a remediation system for site cleanup. After the release was discovered, the pipeline was shutdown, a 2,000 foot section of pipeline was replaced and EnviroSolutions collected soil samples from the excavation trench in the release area to assess soil conditions. Subsequently, EnviroSolutions conducted an extensive investigation of soil and groundwater to delineate the extent of impacts to the subsurface. Soil analytical results indicated BTEX was present in the sidewall and floor samples above soil saturation criteria and had migrated to the groundwater at a depth of 200 feet below grade. Further complicating matters, the extent of groundwater impact covered 8 acres, including two adjacent properties. Additionally, due to the risk to offsite private drinking water supplies, EnviroSolutions implemented a private drinking water sampling program and conducted an accelerated investigation to assess the risk to the adjacent properties. Concurrent with the investigation, EnviroSolutions completed a feasibility study for remediating both the unsaturated and saturated zone contamination. Due to the large extent of impacts, the presence of numerous underground pipelines and other utilities within the contaminated zone and the extreme depth of contamination, EnviroSolutions recommended soil vacuum extraction for the unsaturated zone and groundwater re-circulation (in-well stripping) for the saturated zone impacts and subsequently completed a system design for each. EnviroSolutions is proficient at navigating the complicated regulations associated with oil and gas production and transportation, as well as evaluating complicated sites and providing timely and cost-effective solutions to cleanup contamination and stay in compliance. 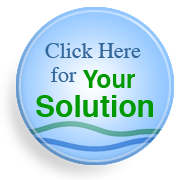 Call us today to learn how EnviroSolutions can help you evaluate your oil and gas pipeline concerns or other complex sites and find site-specific solutions that work within your budget and timeline.